On the Patchworktage, international patchwork friends meet for a textile and quilt festival. It offers a wide distributor road with the latest sewing and quilting machines, fabrics, yarns, embellishments and accessories and a comprehensive course program. Add to that a high-quality quilt exhibition, a daily grand raffle and a meeting of nations. The event is rounded out by an interesting program. The festival takes place in different locations each year. 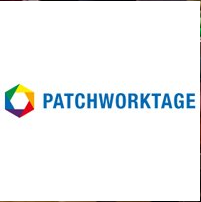 The Patchworktage will take place on 3 days from Friday, 31. May to Sunday, 02. June 2019 in Dinkelsbühl.